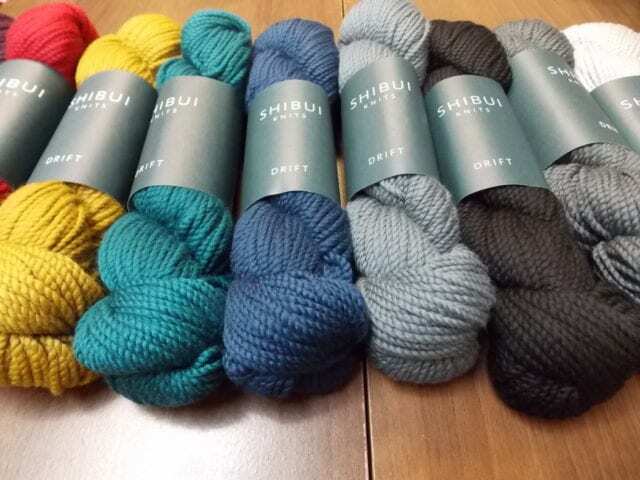 Meet Shibui’s newest yarn, Drift! 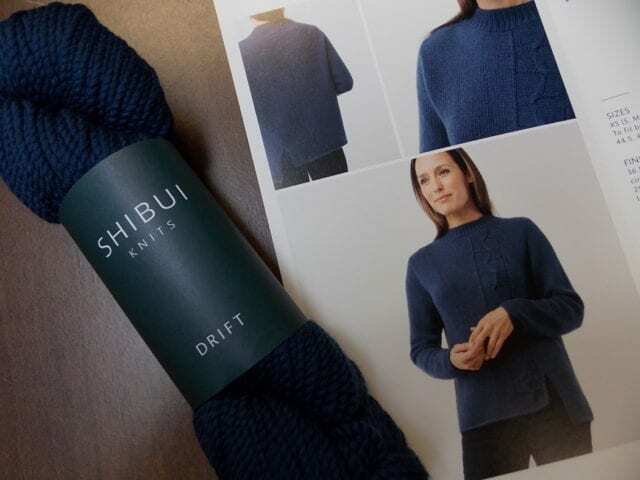 Drift is a worsted weight blend of 85% extra fine merino wool and 15% cashmere, and it’s just as soft as its fiber content suggests. 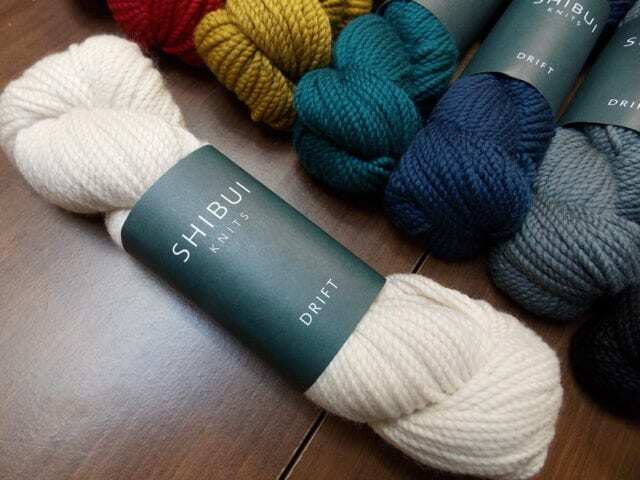 Drift knits up between 4.5 and 5 stitches per inch on a US 8, a heavier gauge than we’re used to seeing from Shibui. Like all of their yarns, Drift is designed to be mixed with other Shibui yarns for interesting effects: add a strand of Silk Cloud for a fuzzy halo, for example. 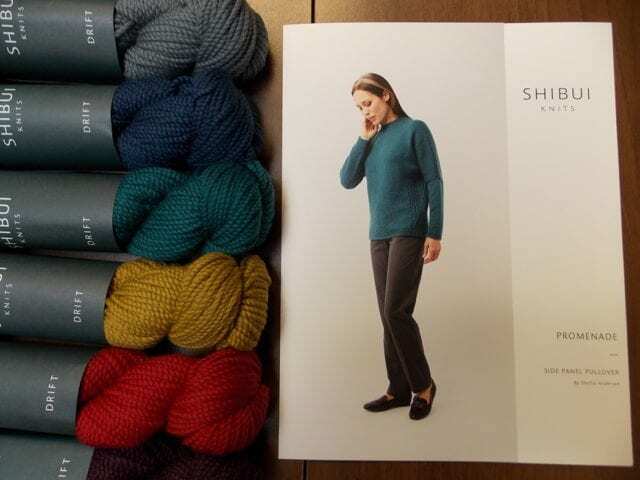 The Fall/Winter 2016 pattern collection, by Shellie Anderson, makes good use of Drift, as well as familiar Shibui yarns like Staccato, Cima, Dune, Maai, and Pebble. 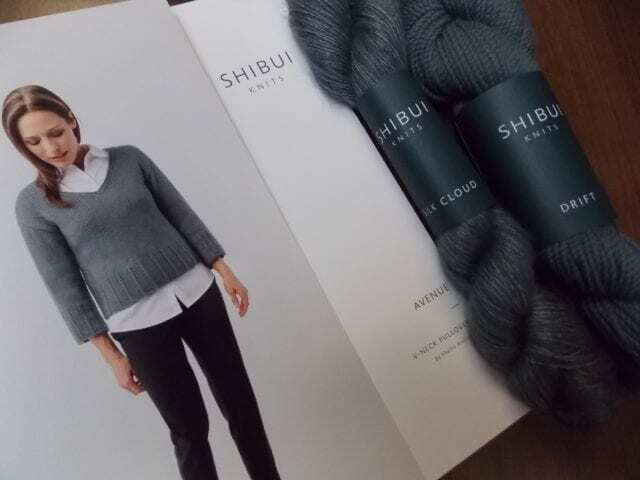 These garments continue in the Shibui tradition of modern, wearable pieces, designed with elegant simplicity but great attention to detail. Come by the shop to meet Drift and see patterns from the new collection! Such a lovely post! Thank you, Hillsborough Yarn Shop! Thank you, Shellie, for your thoughtful and beautiful designs!